Today in Masonic history Lyall T. Beggs is born in 1899. Lyall T. Beggs was an American politician and Commander in Chief of the Veterans of Foreign Wars. Beggs joined the military out of high school. He was a member of the Coast Artillery and quickly rose in rank to become a non-commissioned officer. He left the military in 1919. After the military Beggs returned to his home state of Wisconsin. There he graduated from University of Wisconsin-Eau Claire. After he would attend law school at the University of Wisconisn-Madison. Beggs started his political career as a Justice of the Peace. In 1935 he would serve as the Dane County District Attorney. Beggs served for 6 years in the Wisconsin Legislature starting in 1941. 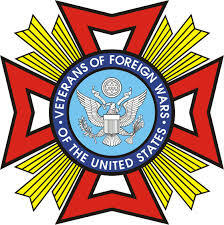 In the Veterans of Foreign Wars (VFW) Beggs would serve in several roles before becoming Commander in Chief of the national organization. Beggs was a Scottish Rite mason and a Shriner.